Author's Note: Just genuine hugs and real kisses are all it takes to express your admiration for someone. P.S. : XOXO for X - April 28, 2015. 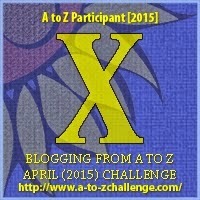 My twenty fourth post for the A to Z April Challenge.